Description and Similar Species: Wingspan 56-64mm. 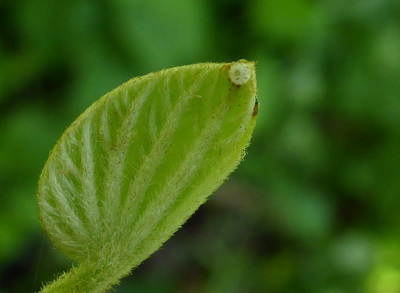 Sexes similar. 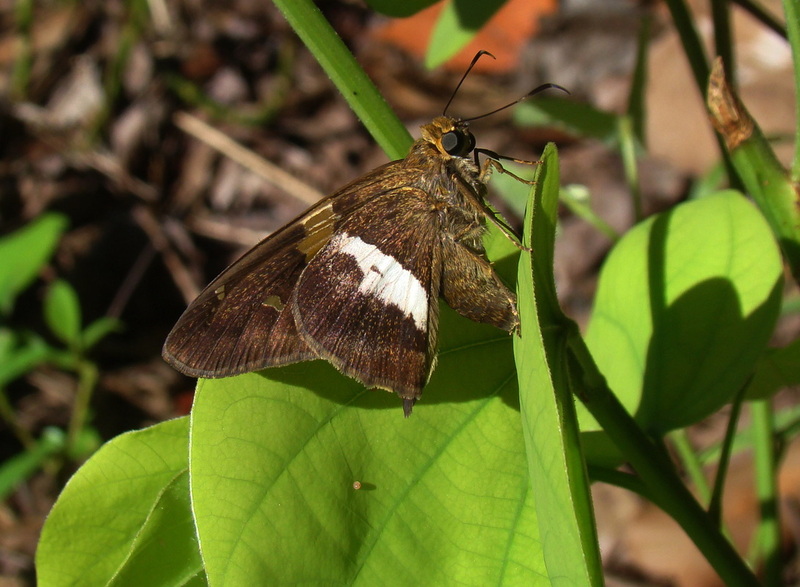 The brown forewings have a bold line of golden spots that shows on both upper and lower surfaces. 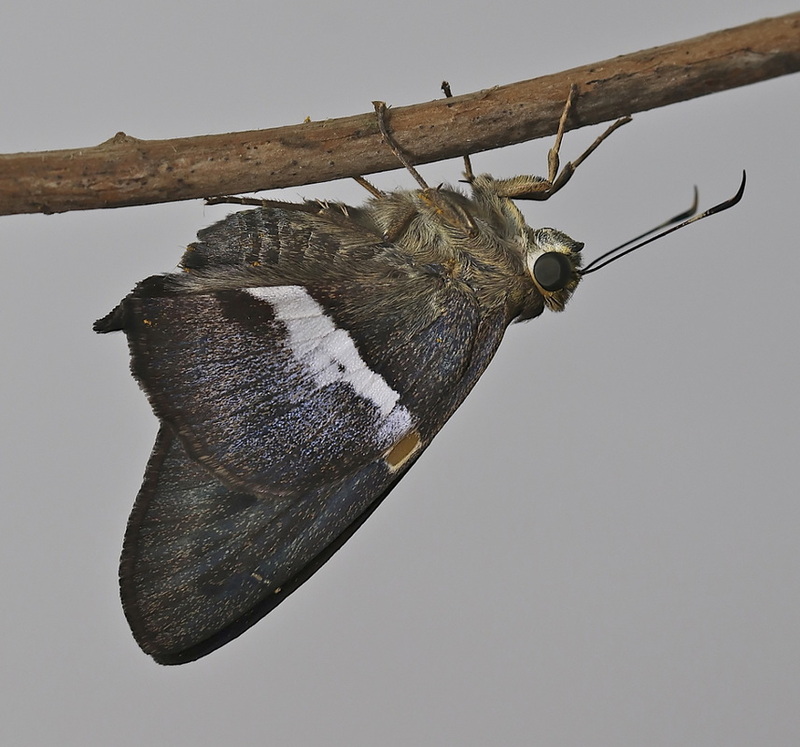 The hindwings have a broad transverse splash of white on the underside. 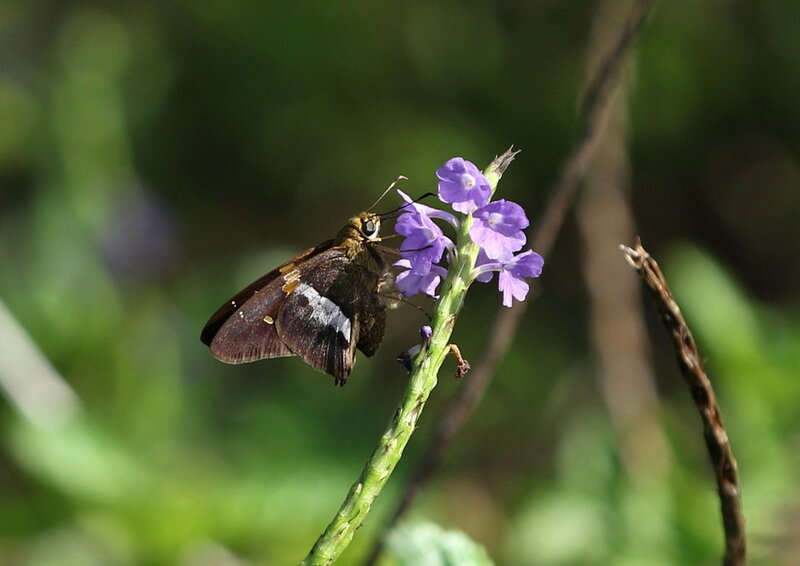 Could be mistaken for the slightly smaller Epargyreus zestos Zestos Skipper, but this lacks the white on the underside hindwing. 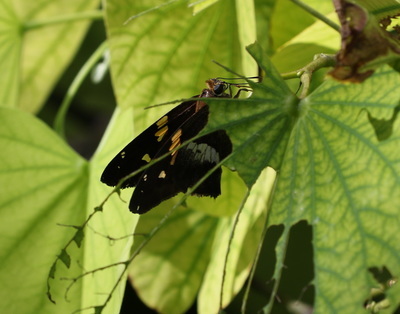 and with Aguna claxon Emerald Aguna (with which it sometimes flies) but this has blue-green colouration on the upperwings and body. 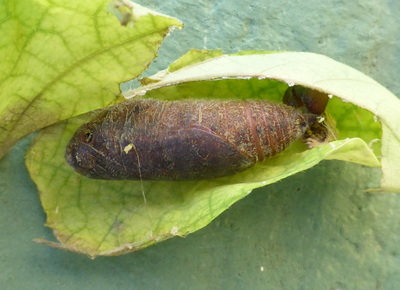 Range: Found from North America south to Argentina. 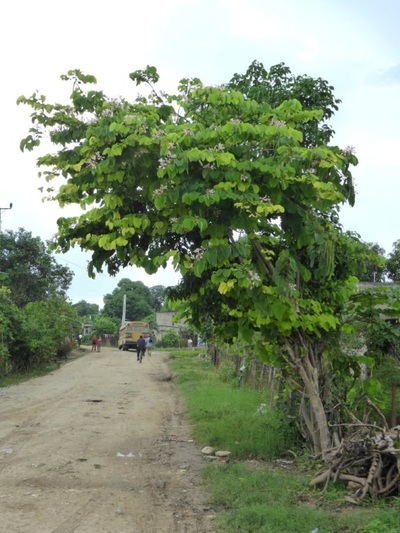 Status: Widespread but rare in Cuba on the edges of forest, roadsides and gardens where the foodplant grows. 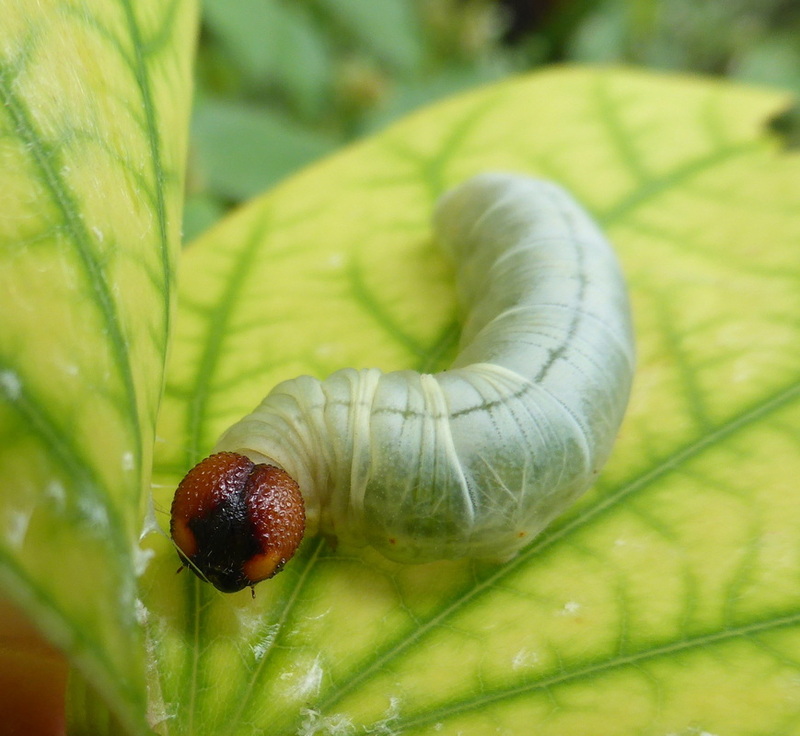 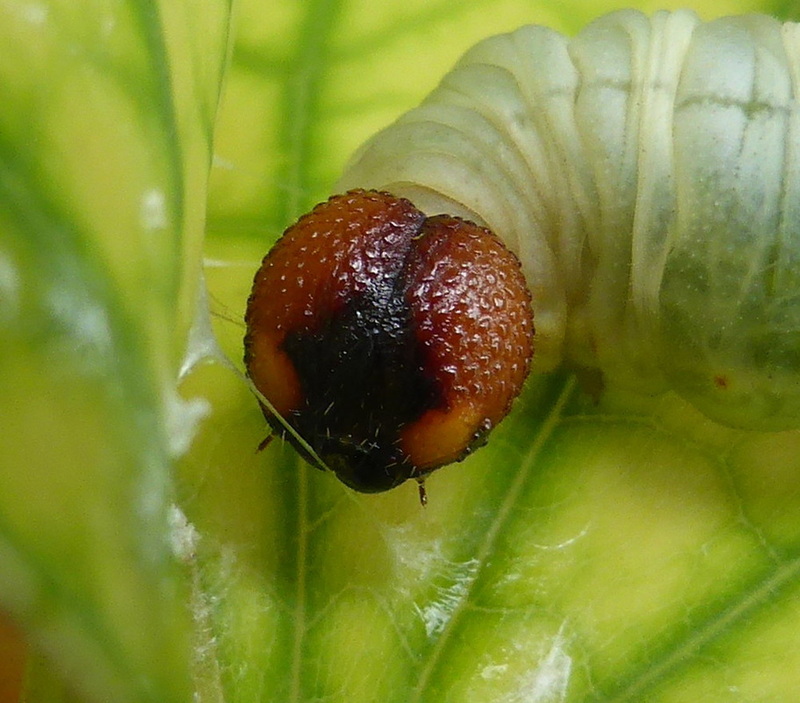 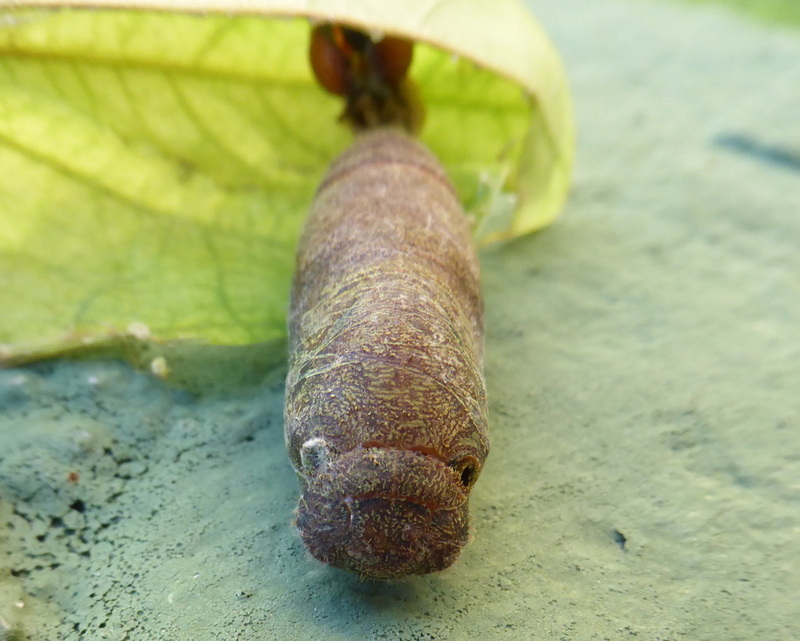 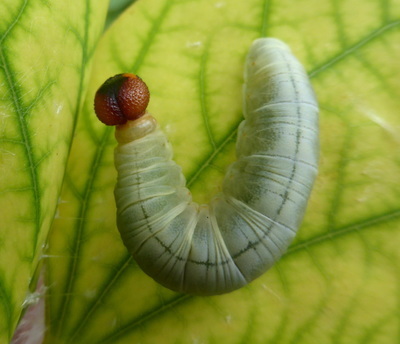 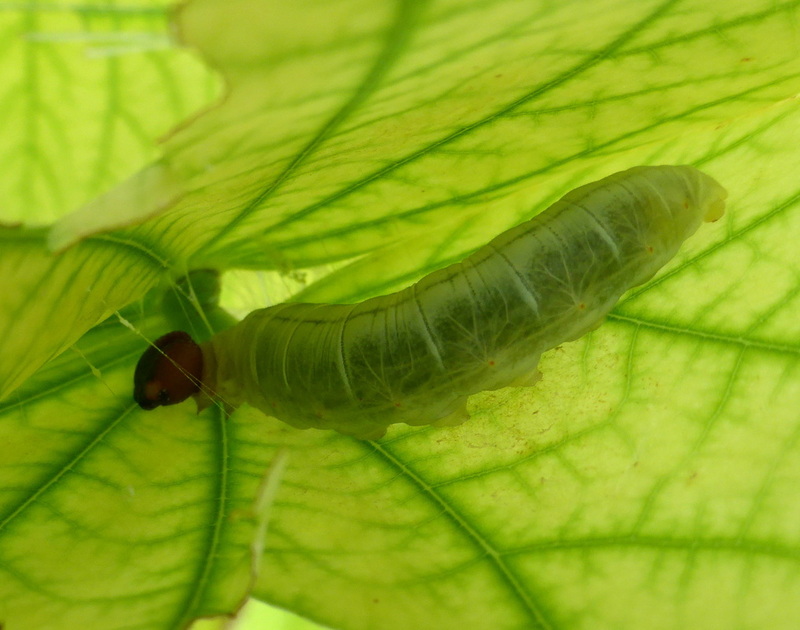 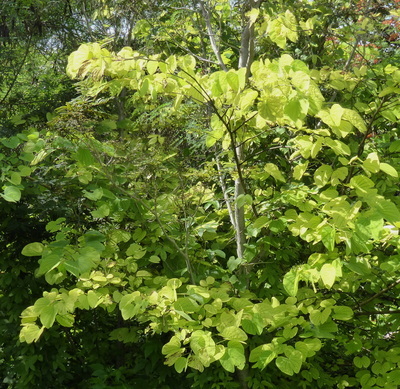 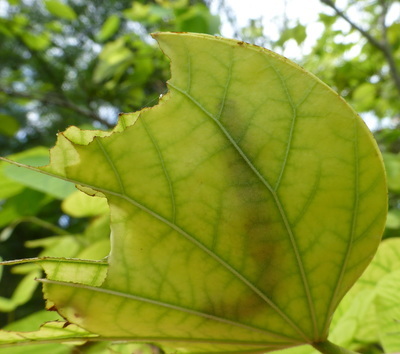 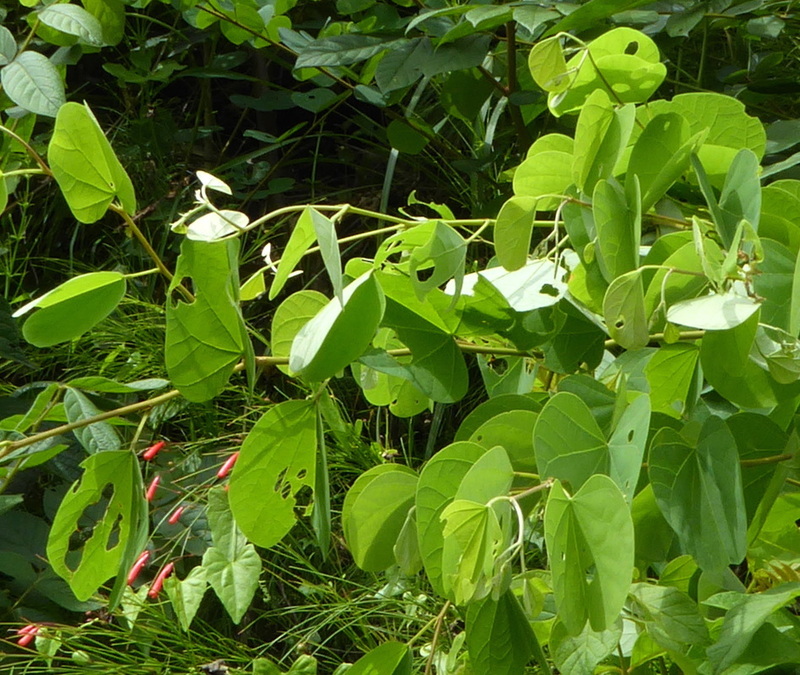 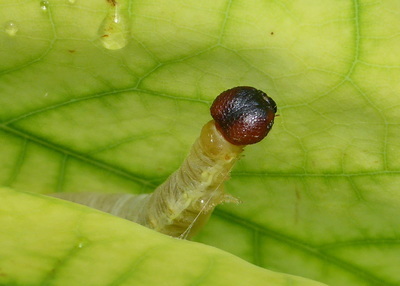 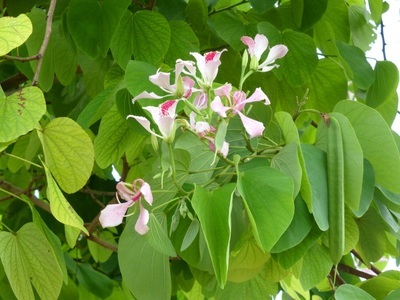 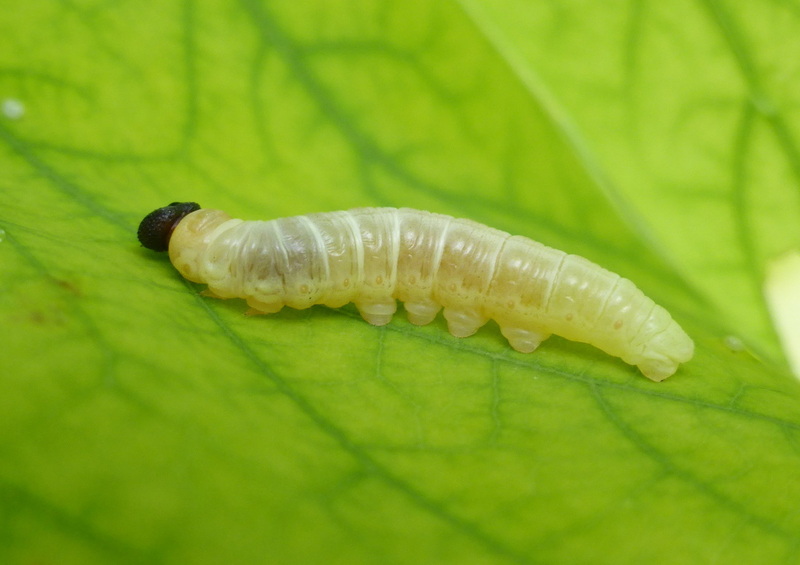 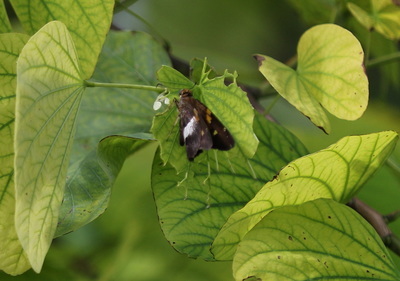 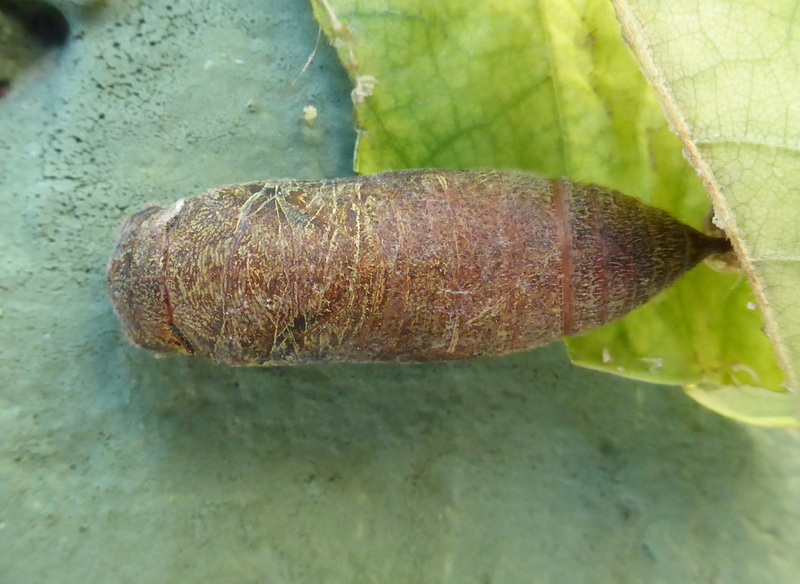 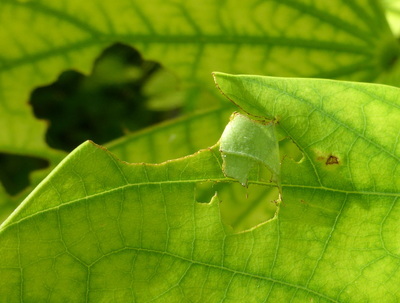 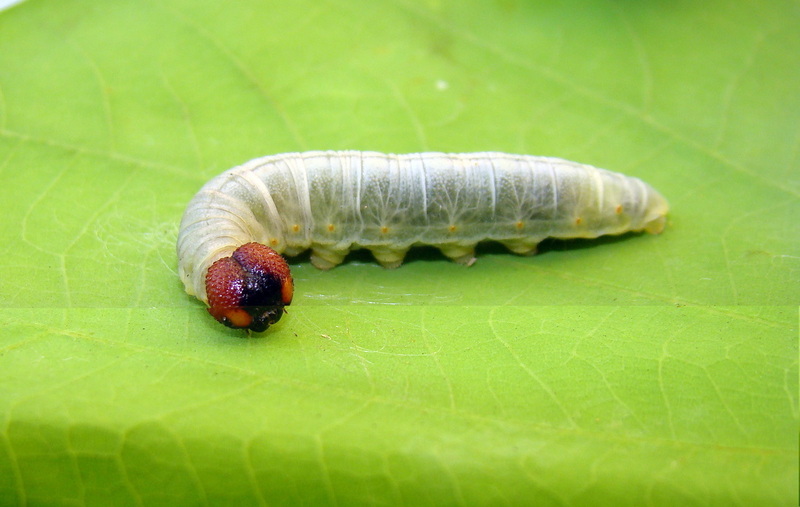 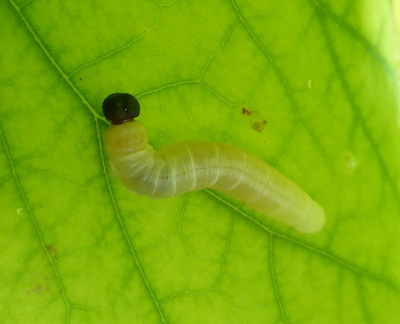 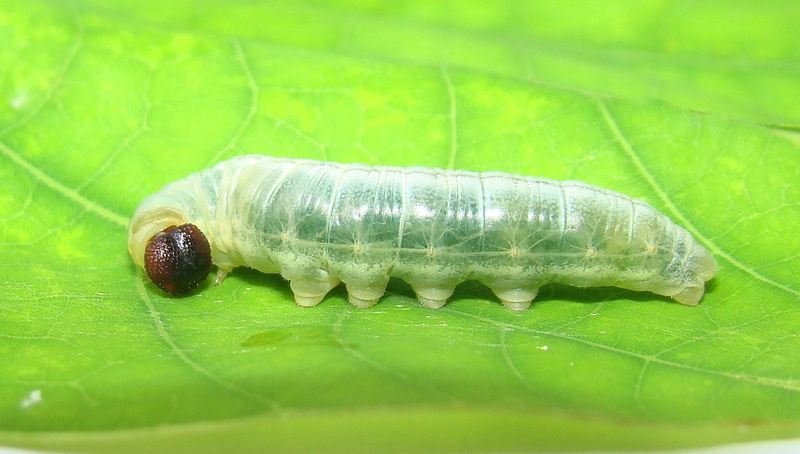 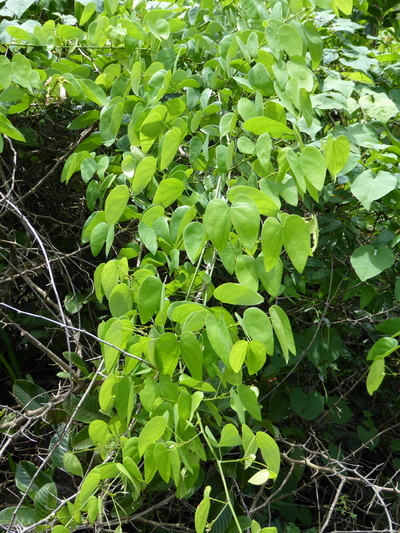 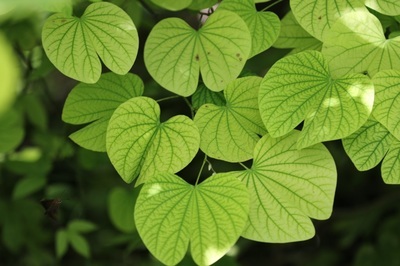 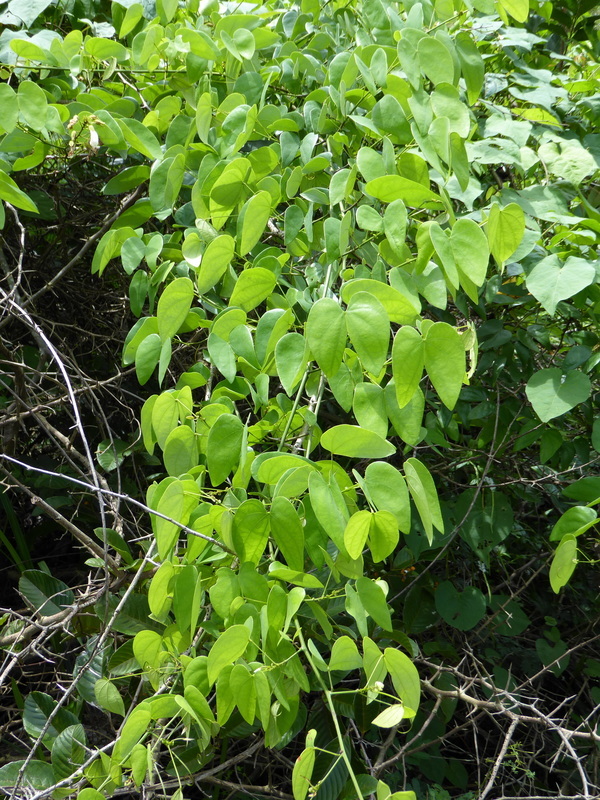 its presence is perhaps more easily located by searching for the eggs or larvae on Bauhinia leaves. 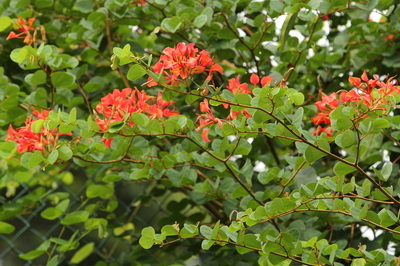 The subspecies haitiensis is found only on Cuba and Haiti. A separate subspecies jasper is found on Jamaica. 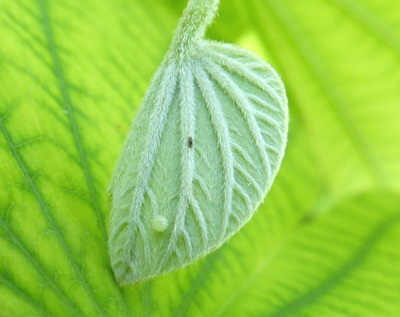 Nectar Plants: Stachytarpheta jamaicensis. 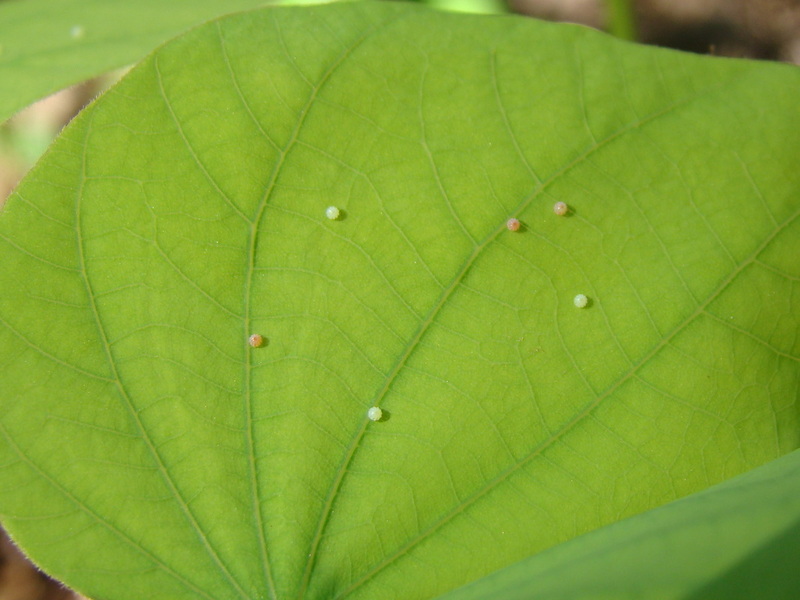 Tournefortia hirsutissima, Bidens pilosa, Lantana, Cordia, Urena lobata, Ageratum conyzoides, Walteria americana, Wedelia rugosa, Lippia alba. 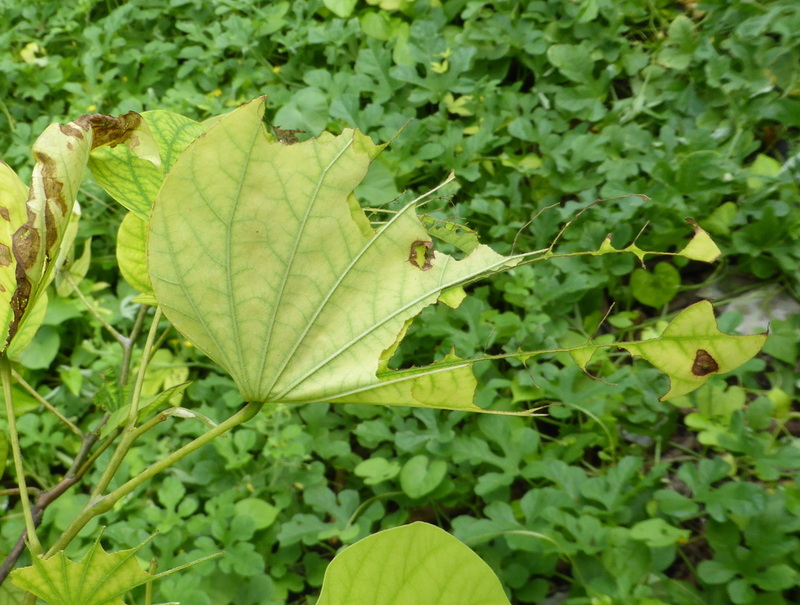 Larval Foodplants: Bauhinia including Bauhinia variegata.